Your commitment to the Jewish community and to your child’s future as a Jew is reflected in your decision to become part of our HERJC family. As the parent of a Jewish child, you understand the importance of a strong Jewish education. At our Religious School, students learn in a caring, supportive environment that encourages them to be proud members of the American-Jewish community. 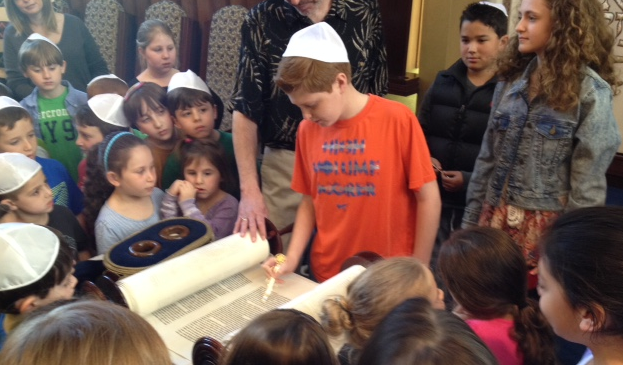 Youngsters enrolled in our program are taught about the Jewish religion and its wonderful traditions. They learn how to incorporate Jewish customs, holidays and prayers into their lives. They learn Hebrew – the language which links all Jews in prayer and in support of the Jewish homeland, Israel. They study the Bible as well as modern Jewish history, both sources of pride in our past and hope for the future. We enrich our academic program with music and art. Our many special programs and activities throughout the year include High Holiday services and breakfasts, Passover model sedarim, parties in the Sukkah, a Lag B’Omer program, Hanukkah celebrations, a Purim carnival, youth choir, as well as family projects and family workshops. Our progressive program meets the needs of today’s American-Jewish youngsters. At the completion of our program, our students will have earned a certificate of competency reflecting a knowledge of the Jewish religion and Jewish issues. They will be confident and well-prepared for their Bar/Bat Mitzvah and ready to live meaningful Jewish lives, feeling comfortable observing Judaism in the synagogue and at home. 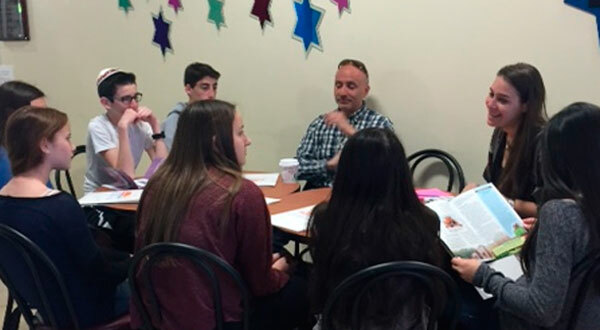 In the spirit of flexibility & inclusiveness, we recently added a program at HERJC to provide a small group learning environment that allows our specially-trained teacher to tailor Hebrew and Judaic content to individual students. Our Zusia program is geared toward students who attend Resource Room programs in their public schools, or who are mainstreamed but require additional assistance to succeed in their studies. Plus we are a meaningful part of a collaborative effort called Sulam-LI, a program that delivers Religious School for children with special needs. We recognize the fact that Jewish education does not end with the Bar/Bat Mitzvah celebration, our goal at HERJC is to instill in our students a love of Jewish learning which will last a lifetime.